Moriarti Armaments is proud to present .224 Valkyrie uppers as an addition to its MA-15 line. 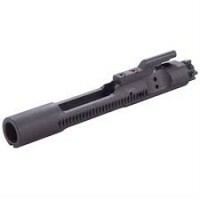 Built for long range shooting and hunting alike, this upper receiver will perform time and time again, without breaking the bank. Easily attached to any Mil-Spec AR-15 lower receiver, our 224 Valkyrie upper is the ultimate addition to your AR-15 collection. 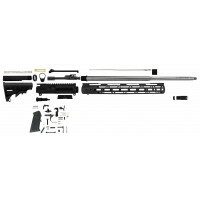 The Moriarti Armaments AR-15 .224 Valkyrie 18″ stainless steel straight fluted upper assembly comes complete with a MATCH GRADE Stainless Steel 416R Barrel, low profile Steel .750 Gas Block with Nitride Finish and a Stainless Steel Mid Length Gas tube. Upper is finished off with a Free Flo..
AR-15 .224 Valkyrie 22” Stainless Steel Match Grade Barrel22” .224 Valkyrie Match Grade 416R Stainless Steel Barrel. 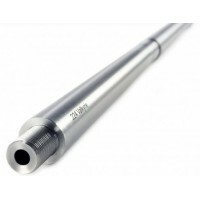 .224 Valkyrie Match Grade 416R Stainless Steel Barrel Rifle Length Gas and 1:6.7 Twist. U.S. made and manufactured to MIL-SPEC specifications exceeding the ISO-900.. 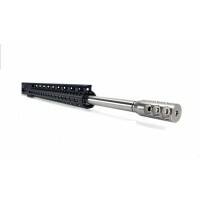 The Moriarti Armaments AR-15 .224 Valkyrie 22″ stainless steel upper assembly comes complete with a MATCH GRADE Stainless Steel 416R Barrel, low profile Steel .750 Gas Block with Nitride Finish and a Stainless Steel Gas tube. 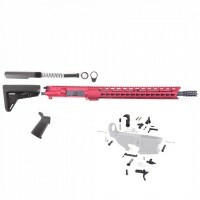 Upper is finished off with a Free Float of your choice, Ultra Sl..
AR-15 .224 Valkyrie 24” Stainless Steel Threaded Barrel24” .224 Valkyrie Match Grade 416R Stainless Steel Barrel. 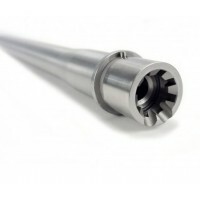 .224 Valkyrie Match Grade 416R Stainless Steel Barrel Rifle Length Gas and 1:6.7 Twist. U.S. made and manufactured to MIL-SPEC specifications exceeding the ISO-9002 Q..